Minneapolis attorney Andrew Noel is prepping for his third high-profile case in the past two years involving a St. Paul police dog biting an innocent bystander. He says they all share a common, worrisome thread. "One of the more troubling things is really the dog did what it's supposed to do. The bite is really the reward for the dog. The dog is trying to get to the bite," he said. "They're not really accidents." St. Paul officials have called for "significant changes" to the K-9 unit following the most recent attack where a city police dog helping search for a suspect during a weapons call in early July bit a bystander on the forearm after breaking free of its collar. Police officers and K-9 experts say police dogs are a vital law enforcement partner with a solid track record serving the public. The St. Paul attacks, though, have pushed the city into a larger national debate over the proper role of police K-9s and how well the animals' instincts can be contained. Questions remain about who's accountable when a police dog bites, and whether in some cases it is even necessary for the dogs to bite. K-9 units are deployed in the Twin Cities on calls from burglaries to narcotics searches to pursuits where handlers say dogs can help keep their officer safe. Experienced dog handlers in law enforcement say that a dog can be deployed in the same manner as batons or stun guns. "Properly trained dogs are like a switch, you turn them on and turn them off," said Charles Mesloh, a criminal justice professor at Northern Michigan University, in Marquette, who had been a K-9 handler in South Florida for 10 years. "I was a runner and I couldn't run as fast as a dog," he said. "A good trained police dog is going to be able to take that person down no matter how tough they are." A former longtime K-9 handler agrees. David Ferland is currently executive director at the United States Police Canine Association, the nation's oldest and largest K-9 association and is where St. Paul and Minneapolis K-9 units get their dogs annually certified. "It was just a mistake. It was just an error, just like driving the police car into an accident," Ferland said of police dogs biting someone who did nothing wrong. "Handling a dog is no different than driving the police car, which is no different than deploying pepper spray." Others argue that training and controlling the dogs is not as precise as it's portrayed. "From what I've seen in talking to experts and police officers in these cases is these types of police K-9s will not be able to distinguish between a good guy and a bad guy," said Noel. "It's just not a part of the deal." Noel represented Frank Baker of St. Paul, who was severely injured in 2016 after a K-9 clamped onto his leg. A police officer also kicked Baker in the ribs, which sent the man to the hospital for two weeks. In that case, police responding to a call about a fight didn't find one but found Baker in a nearby SUV. The officer let his police dog loose on Baker because the man did not comply quickly with his commands. Police Chief Todd Axtell apologized to Baker, who last year reached $2 million settlement, the largest settlement in the city's history. In September, a St. Paul K-9 bit Desiree Collins as she took out her trash while an officer searched for two burglary suspects. Noel is suing on her behalf. Her lawsuit seeks financial damages and changes to the department's K-9 policy. In the July 6 incident, Glenn Slaughter happened upon a scene where police were searching for a fleeing suspect. He was told to lie on the ground, which he did, but he was bitten by a police dog after its officer lost control. St. Paul Mayor Melvin Carter said he found the attack on Slaughter "very disturbing, especially viewed in the context of other events that have occurred over the past two years." The city hired former St. Paul Chief William Finney to conduct an external audit of the K-9 unit. In the Collins and Slaughter incidents, St. Paul officers lost control of their dogs and failed to have the canines follow verbal commands to release the victims, according to police body camera footage. In Minneapolis and St. Paul, dogs were involved in 290 cases in which people were bitten from January 2012 through July 2018. Some people were bitten during the course of an officer making an arrest. In others, a person was unintentionally bitten. "Accidental bites happened in a variety of ways," St. Paul police spokesperson Mike Ernster said in a statement to MPR News. Accidental bites happen while an officer is tracking a suspect, during a call and even during a K-9 demonstration, he said. Most of the people bitten were young black men, the youngest of whom were two 12-year-old boys. One was arrested in 2012 in St. Paul and one in 2016 in Minneapolis. "Unfortunately, our officers have come across young people who are armed and have jeopardized the safety of our community and officers," Ernster said. "Sometimes officers don't know the age of the person they're pursuing or if they are armed with a weapon." Departments often argue officers faced potential danger when they deploy their dog, said Donald Cook, a Los Angeles-based lawyer who has handled more than 100 police dog-bite cases, most involving suspects. "If they ever get called in a court, what they say is: 'Well, I didn't know if he was armed or not. What if he had a gun or if he had a knife?'" he said. Cook argued that so-called "pain compliance" — having a K-9 bite a suspect during arrests — doesn't work as intended. "Pain compliance is designed or intended to cause pain without injury," he said. "What do you suppose people do when they have a large aggressive animal chewing on, ripping away their body? What they do is a scream. They yell. They kick." Cook said he supports an alternative method called "bark and hold" or "find and bark" instead of the prevailing practice of "bite and hold." With a "bark and hold" policy, a police dog circles a suspect and barks unless the suspect attacks the dog or its handler. In situations where the dog's task is to find a suspect, the dog should wear a muzzle, he said. "They really are just a dog. They're an animal, they cannot exercise human judgment." Mesloh, the Northern Michigan University professor, questioned the effectiveness of "bark and hold." He said a 2006 study he conducted on K-9 practices found a higher incidence of police dogs ultimately biting under "bark and hold." A dog trained under "bark and hold" typically operates more freely in a wider variety of situations and is given more leeway than a "bite and hold" trained dog, Mesloh wrote. That and other research led Los Angeles police to shift to "bite and hold" training. "You've got an animal that's got an IQ of a 5-year-old, like a child, and it's going to make very technical decisions once you release that dog," Mesloh said of "bark and hold." St. Paul police earlier this month said the department would put temporary restrictions on its K-9 unit in response to the recent biting incidents, including requiring handlers to use shorter leads on the dogs and to get approval for any deployment that does not involve serious crimes. Noel believes many of the police dog bite cases he's represented would not have happened had officers followed protocol properly. "The failures in Ms. Collins' incident were the lack of proper warnings that would've given innocent people a chance to show themselves or a suspect a chance to surrender," said Noel. "The warnings were deficient and really the control of the dog was deficient too." Ferland, of the canine association, said there is only so much police dog handlers can do in unintended biting cases. "[The dogs] are not perfect. Neither are our handlers. Neither are our police leaders and neither is our society," said Ferland. "Things sometimes happen to very good people and that's when the department needs to step up and just say 'we made a mistake and we're sorry.'" Mesloh, though, said it's the "handlers responsibility to check their equipment." 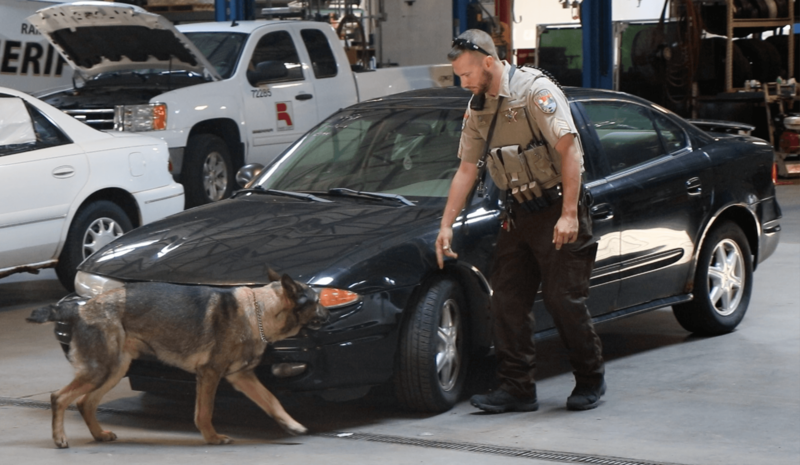 If a state has requirements for standardized training, he added, further unintentional police dog bitings are "very preventable." 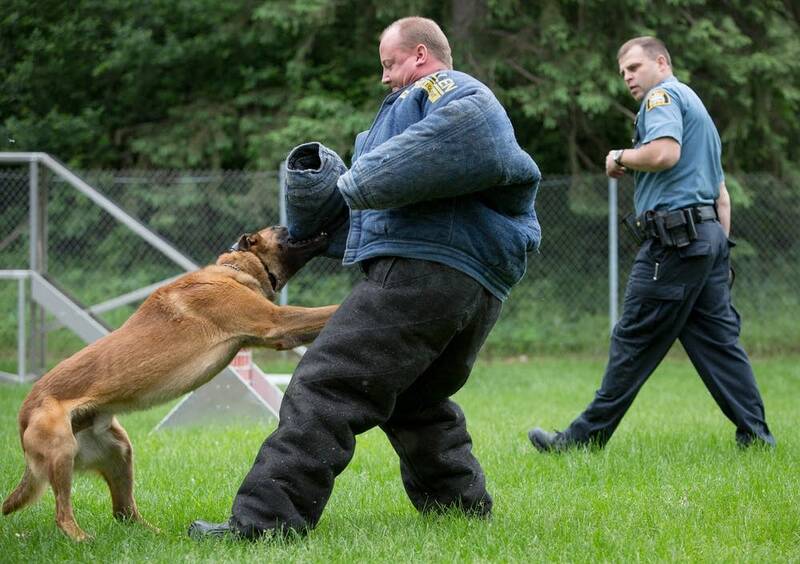 Minnesota does not have state laws dictating K-9 unit training and practice. Nor does the state require a police dog unit to be certified. Ernster, the St. Paul police spokesperson, said the department's K-9 unit is under a top-down review of its practices and training process and the department now requires a twice-monthly review of its handlers and their dogs. Had the department done that after the Baker incident, the other two attacks might not have happened, Noel said. "It's certainly better than putting your head in the sand and pretending that there is no problem," Noel said. "It's happening too often."